Not long after hearing an NPR story about the lowest calorie cocktails, an acquaintance of Jennifer Aniston's chef confirmed the skinniest of them all: silver tequila with lime. At about 97 calories for an ounce and a half, this mildly sweet drink is simple to make and practically guilt-free. In college I had a friend in the costume department who interned on "Friends" and helped to tailor Ms. Aniston's clothing. Back then she was a size 2. Now it's hard to imagine her filling out a zero. So if this is her cocktail of choice, it must be kind to the figure. 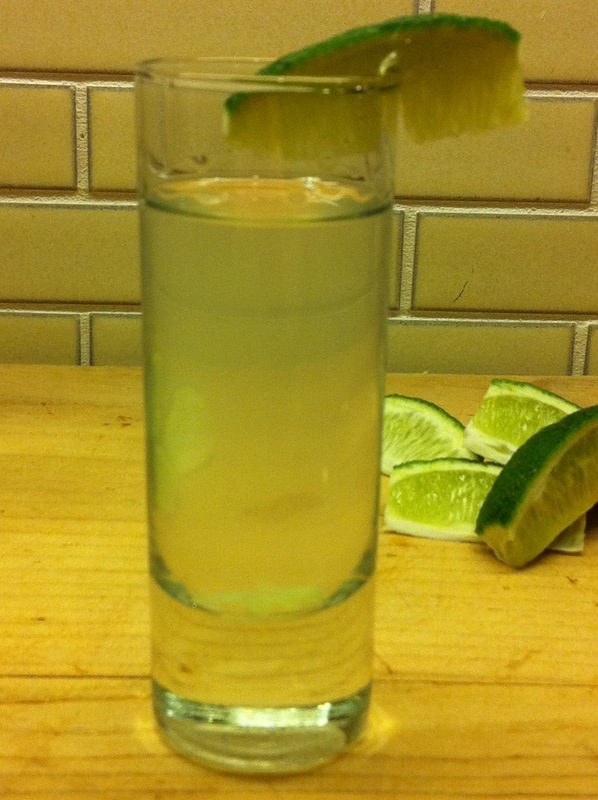 Step 3: Shoot it or sip it, just don't let it get warm!